Remote cameras are revealing the secrets of the conservation area known as Lote 8 in the Atlantic Rainforest of Misiones Province, Argentina. Lote 8 was saved in 2012 thanks to funding and assistance from World Land Trust (WLT). 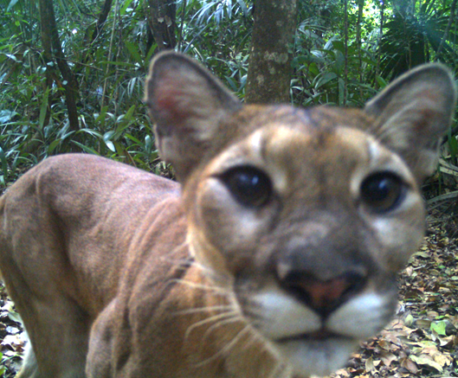 Staff of Fundación Biodiversidad-Argentina (FBA), one of WLT’s three Argentine conservation partners, are using 10 trail cameras to monitor wildlife in the area. FBA is using data collected from the cameras to develop a long term management plan in consultation with the local indigenous Guaranί communities. The cameras were installed in November 2015 and routine checks were scheduled for late February 2015. Unfortunately, bad weather in the intervening period made the roads impassable and the task almost impossible. 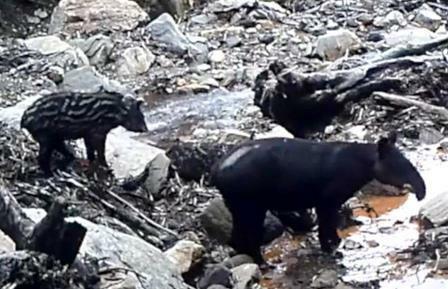 From the cameras that the team were able to reach, images showed two species classified as Vulnerable by IUCN: Lowland Tapir (Tapirus terrestris) and White-lipped Peccary (Tayassu pecari). Also recorded were Jaguarundi (Puma yagouaroundi), Ocelot (Leopardus pardalis), Collared Peccary (Pecari tajacu) and Coati (Nasua nasua). Anecdotal evidence of sightings also suggest that Jaguars (Panthera onca), classified as Near Threatened by IUCN, and Pumas (Puma concolor) are moving through the reserve. Meanwhile, the Provincial Government of Misiones in Argentina continues to support conservation in the area by providing rangers to control illegal immigration (mostly from Brazil, by crossing the Uruguay River). About 30 per cent per cent of the original Atlantic Rainforest survives in Argentina. The remaining fragments are fragile and vulnerable. The forest is a source of wood for the timber industry and, once cleared, the land is quickly developed for mate (a local infusion) and tobacco cultivation, as well as pine plantation, cattle pasture, settlements and roads. Saving Lote 8 is the first phase of a wider strategy to preserve an area known as the Esmeraldas Corredor Verde (Emerald Green Corridor), one of the last strongholds of sub-tropical rainforest in Misiones Province. 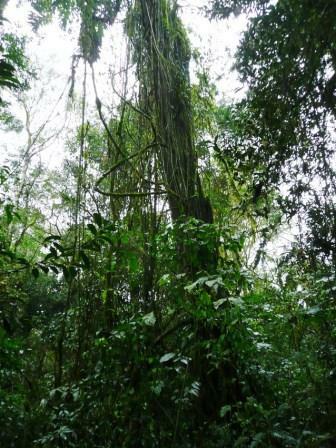 The corridor lies in Yabotí Biosphere Reserve, which connects La Esmeralda and Moconá Provincial Parks with Turvo State Park in Brazil. However, the Yabotí Reserve also includes a large proportion of private properties, and under current protection category, logging for timber is allowed in those private lots. Lote 8 protects one of the most fragile habitats in the world. The largest proportion is protected as Traditional Indigenous Land, which means it belongs to the local Guaranί Communities who live within the corridor and offer the strongest level of protection for the reserve’s biodiversity. You can support conservation in Misiones by making a donation to the Action Fund. Obdulio Menghi, FBA President, recently visited WLT’s office in Suffolk. He spoke about the historic agreement to return land title to three Guaranί villages, an agreement that was made possible thanks to the intervention of WLT. WLT is also supporting ongoing efforts to secure other parts of the Emerald Green Corridor in the Yabotí Biosphere Reserve.